In addition to designing and creating the website, I was the project manager for the implementation of this project, which included the delivery of: re-designed, mobile-friendly website; product builds; API development; file feeds; engagement email campaigns; health and wellness content; and more. Design a responsive, mobile-friendly site to replace existing website. Create more simple site navigation and architecture so it's easy to navigate and find information. Re-organize content in a way that’s easy to digest; eliminate more than 50% of existing copy. Provide information to entice someone to become a member. 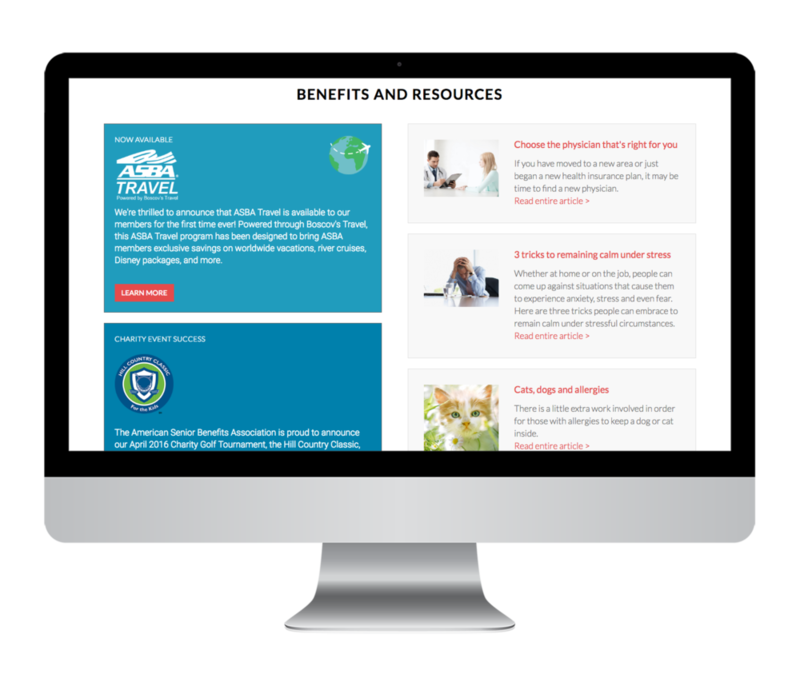 Make detailed benefit information gated content. Re-organized content into “member program” categories, which condensed the number of pages by 500%—producing less clicks for audience to find the information they needed. 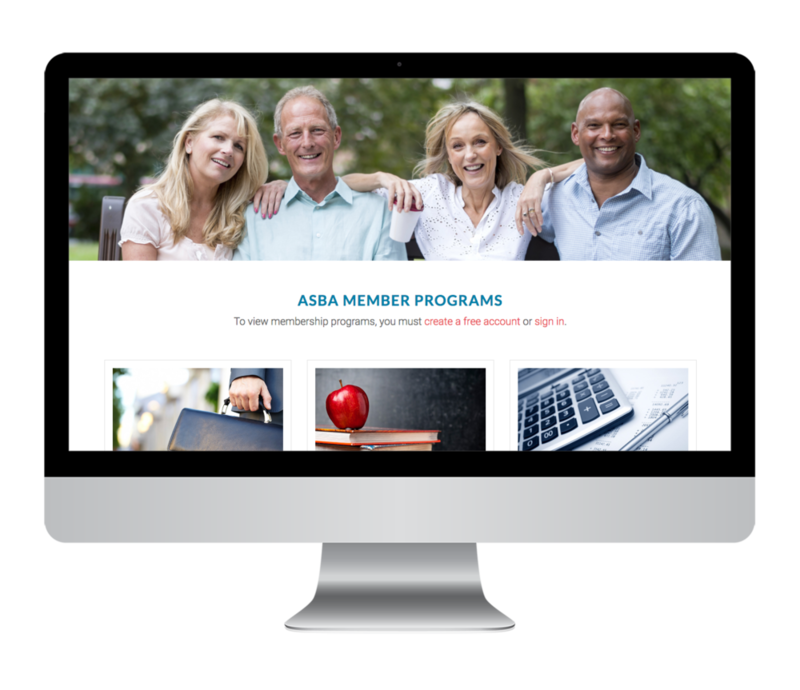 Took page-long individual product content and condensed into heading, sub-head, short description, and link for easy scanning; placed products on appropriate member program category pages. Mocked up the home page + member program landing page (showcasing selection of all programs) + an individual member program page (for example, health and wellness category page with products). Wrote development requirements for new functionality--privacy enhancements, gated content, etc. Created UI mockups of customer account. Developed new color palette, selecting a more vibrant, engaging red and blue. Selected images that reflect the 50+ target audience. Selected larger images and font size to make reading easier. Members were communicated to reset their password; extensive testing done pre-launch. 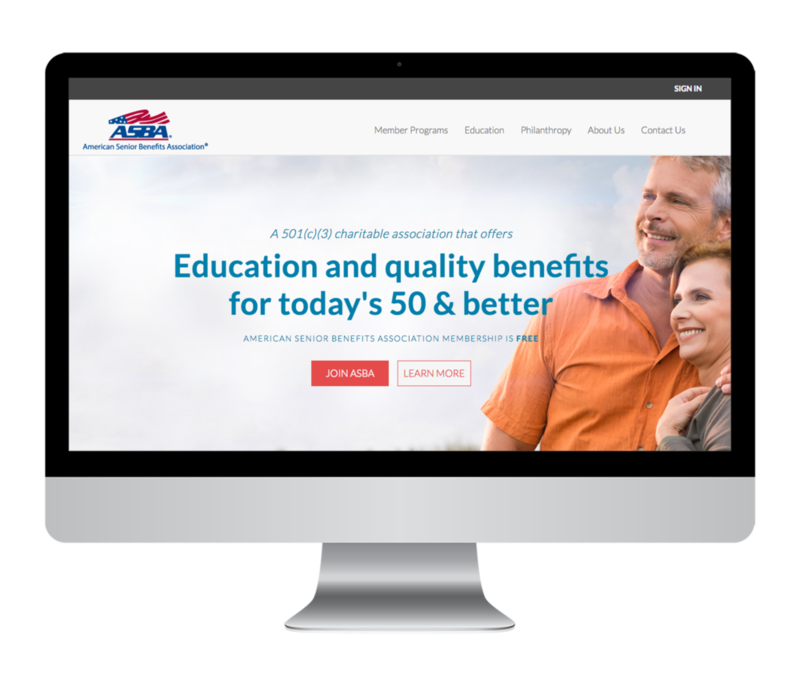 Today, ASBA members can easily access benefit information, health and wellness info, and association updates at www.asbaonline.org.